Shhh. Don’t tell my little Amelia, but I’ve been stitching up a storm for her birthday. I have a million things to finish before the big day, but I feel compelled to stop stitching for a bit to tell you about the inspiration for this project from “Hand-Stitched Felt: 25 Whimsical Sewing Projects” by Kata Golda. I really love this book. The projects are simple, yet so satisfying to stitch. I swear, not even the fanciest sewing machine in the world can replace the peace that comes with stitching projects by hand. 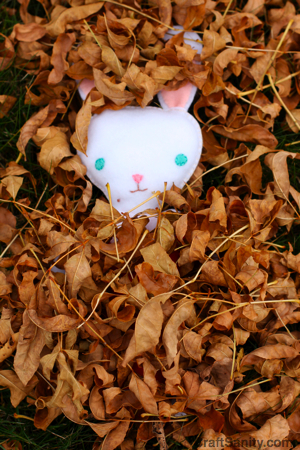 I added a birthmark like Amelia’s to the bunny, a detail I think she’s going to like. I’m also making her the kid’s messenger bag from the book. I’ll post pictures of that when I get it finished. You can watch a cute little video of the finger puppets from the book and enter to win a copy over on the STC Craft blog. The contest ends Oct. 30. 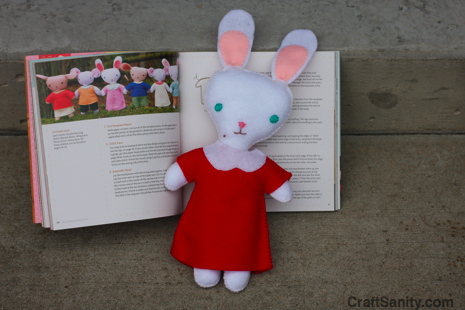 From softies to felt covered journals, “Hand-Stitched Felt” is packed with sweet and inspiring projects for kids of all ages. It gets four stars from me.